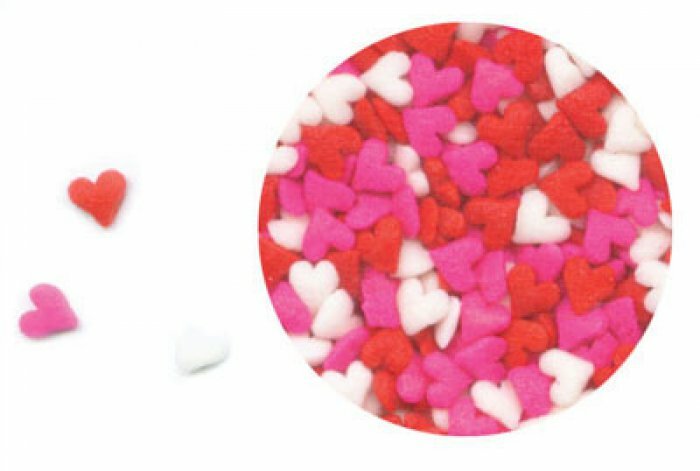 As pretty as confetti these Quinns will add life to any of your special creations . In pink, red and white in a mini sized sprinkle! Sold in flip top bottles of 79.4grams. Great to scatter over cupcakes, cakes or cookies. Red #40, Yellow #6, Red #3, Artificial Flavor.